Does Solar Make Economic Sense? Even for those who aren’t especially concerned with the environmental benefits of solar power, the economic benefits are impossible to ignore. The cost of a system for an average home, says Sun Light & Power’s Gerber, is about $29,000. Subtract about $7,000 for the state rebate, which is currently based on how much electricity the system is capable of producing. Subtract an additional $2,000 for the federal tax credit, and the cost is reduced to $20,000. Over the 25- to 30-year life span of the system, the homeowner will save — based on current electrical rates and a conservative estimate of a 6 percent annual inflation rate for future costs — about $60,000 in electricity. After subtracting the system’s cost, the bottom line is $40,000 in savings. The Chronicle’s math needs a bit of work – the solar panel still costs $29,000, it’s just that $7,000 of it is paid for by California taxpayers rather than the homeowner, and $2,000 is subsidized by Uncle Sam’s taxpayers. Still, even with those costs factored in, that’s still $33,000 in savings over 25-30 years if the Chronicle’s assumptions are right. You might want photovoltaic solar panels to generate your own electricity out of a belief that you will save the planet. But, as is the case with hybrid vehicles, you certainly should not do it to save money. For instance, a homeowner in New Jersey whose electric bill is an above-average $100 a month could buy a system for about $54,000, it says. After the state rebate of $18,468 and the $2,000 federal tax credit, the system would cost $33,532. And how many years will it take before you see any savings? From 11 to 22 years. The average payback is 14 years, said Polly N. Shaw, a senior regulatory analyst with the California Public Utilities Commission. The calculator provides a lot of other information, but it doesn’t figure in the $1,580 a year your cash outlay would have been making had you left the money in a conservative investment like a government bond. Thats more than enough to cover the monthly electric bill. If the NYT is right, then solar panels are a bad investment. The biggest differences in the two articles: The Chronicle puts the cost of a residential solar power system at $29,000 (before rebates and tax credits) while the NYT puts the initial cost at $54,000. That’s a $25,000 difference, nearly double the cost. New Jersey’s rebate amount, used in the NYT story, is more than double the California rebate amount used in the Chronicle story. Beyond that, there are other differences. The Chronicle is writing about solar panel prices in California, which has 85 percent of all installed solar power systems in the nation. I haven’t priced solar systems in California but I’m betting the basic economic effects of competition and economies of scale are driving prices down in California. Also, thanks to California’s sky-high residential real estate prices, solar systems may not seem as expensive as they might to somebody building a new home in a less-costly region. The Chronicle story mentions a new development near San Francisco of 77 homes that all have solar roofs – homes that “range in size from 3,673 to 4,243 square feet and are priced at about $1.3 million.” New homes of similar size built in Williamson County, Tennessee, south of Nashville, the priciest suburban county in the state (and the county where Nissan moved its HQ to from suburban LA) would cost around $400,000-$600,000. A $30,000 solar power system changes the monthly payment by a larger percentage when added to a $400,000 home then when added to a $1.3 million home. But, wait… it’s not that simple. Both papers highlight – and both leave out – other key economic factors you should consider in deciding whether or not solar is right for you. The NYT mentions something that the Chronicle left out of its economic calculations: The lost-opportunity cost of buying solar panels rather than investing your money in government bonds. Using its New Jersey cost estimate and rebate info, the NYT says the more than $33,000 a homeowner would spend on solar could generate nearly $1,600 a year in interest if invested instead in a conservative investment like a government bond. The Chronicle article, on the other hand, mentions something that the NYT left out: Net-metering. California is a state with a “net metering” law requiring utilities to allow homeowners to connect their solar panels to the power grid via an inverter and sell excess power to the power company. Not all states require net-metering. CitizenRe, a company that aims to revolutionize the financing of residential solar power systems, provides a helpful map of states that do. So, should you spend money on solar panels for your house? The answer is … you have to figure that out for yourself, based on how the economics works out for you in your state. If cost is your deciding factor. While the economics of solar are still tricky and open to debate, the environmental benefits are much more clear. Also, if you want to be an early-adopter to encourage the advancement of the technology, go for it because as the market expands for residential solar power generating equipment, the industry may attract more investment that may fund more innovation that leads to more-efficient solar power-generating technologies, lower prices, or both. Photovoltaic technology has been around for more than a century – the first working photovoltaic solar cell was built in 1883 – but it isn’t the only solar power technology out there. Solar dyes and other, newer solar technologies are in development. A growing market for solar systems generally will help grow that part of the solar business too. The Georgia Tech Research Institute has come up with a solar panel design that could revolutionize the solar industry. The new design features many nano-towers – think of microscopic blades of grass – that capture more sunlight because they have a larger surface area than the traditional flat design of photovoltaic (PV) cells. These three-dimensional panels produce about 60 times more current than regular solar cells. 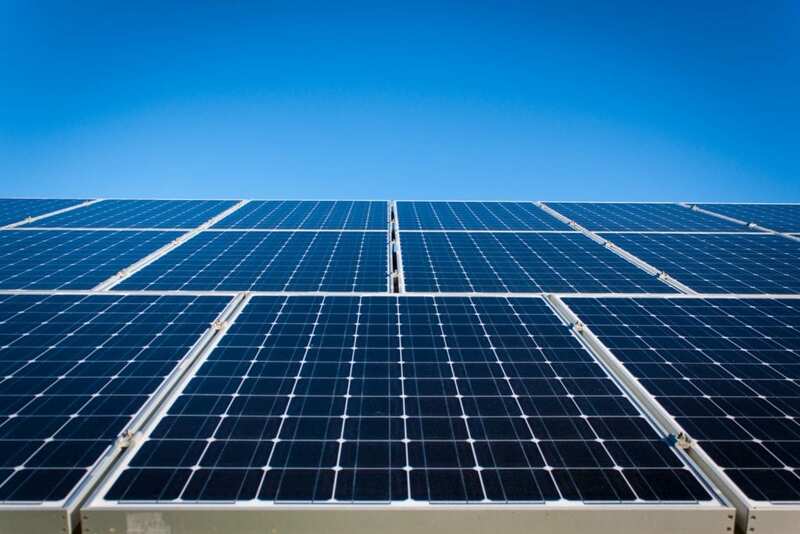 Because of this leap in efficiency, the coatings on the PV cells can be made thinner, and the overall size, weight, and mechanical complexity of the systems are reduced. 124 years after the first working photovoltaic cell was created and they’re still improving the technology. GreenOptions links to the Georgia Tech press release.